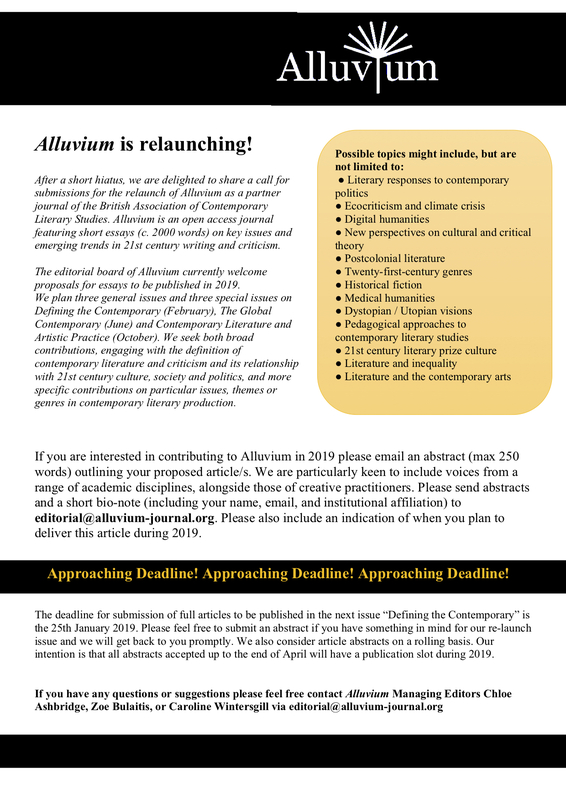 After a short hiatus, we are delighted to share a call for submissions for the relaunch of Alluvium as a partner journal of the British Association of Contemporary Literary Studies. Alluvium is an open access journal featuring short essays of around 2000 words on key issues and emerging trends in 21st century writing and criticism. The journal publishes six issues a year, employing a system of post-publication peer-review by the engaged commentariat on the message boards of the journal’s website, enabling vital current ideas to find a rapid readership. The editorial board of Alluvium welcome proposals for essays to be published in 2019. 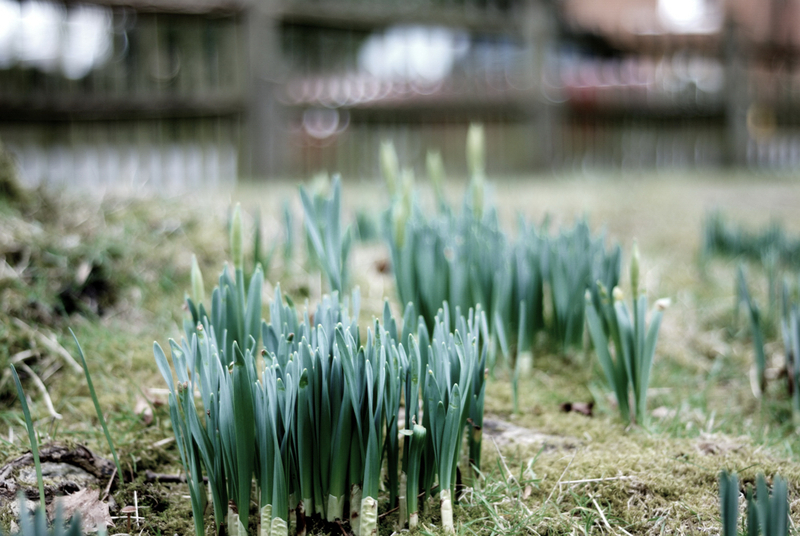 We plan three general issues and three special issues on Defining the Contemporary (February), The Global Contemporary (June) and Contemporary Literature and Artistic Practice (October). We seek both broad contributions, engaging with the definition of contemporary literature and criticism and its relationship with 21st century culture, society and politics, and more specific contributions on particular issues, themes or genres in contemporary literary production. In the spirit of BACLS’ rolling definition of ‘the contemporary’, Alluvium assumes a fluid and hybrid understanding of the contemporary moment, rather than a given periodisation. We welcome proposals either for single articles or for series of two or three articles and we encourage the use of visual material. If you are interested in contributing to Alluvium in 2019 please email an abstract (max 250 words) outlining your proposed article/s. We are particularly keen to include voices from a range of academic disciplines, alongside those of creative practitioners. Please send abstracts and a short bio-note (including your name, email, and institutional affiliation) to editorial@alluvium-journal.org. Please also include an indication of when you plan to deliver this article during 2019. If you have any questions or suggestions please feel free contact Alluvium Editors Chloe Ashbridge, Zoe Bulaitis, or Caroline Wintersgill. The deadline for submission of full articles to be published in the next issue is the 25th January 2019 (issue release 21st February 2019). However, we consider articles on a rolling basis. Our intention is that all abstracts accepted up to the end of April will have a publication slot during 2019.